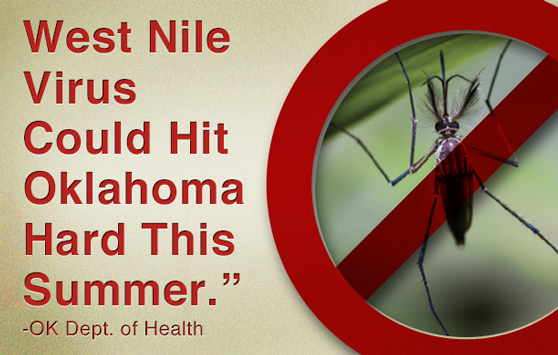 OKLAHOMA CITY — The Oklahoma Department of Health says the West Nile virus could hit Oklahoma hard this summer. State Epidemiologist Kristy Bradley says a man in Pittsburg County has been diagnosed with the disease and mosquitoes in Tulsa County have tested positive for the virus. Bradley says early indicators show that there may be a dramatic rise in Oklahoma West Nile cases this year. Last year, just one case was reported in the state. Oklahoman’s are encouraged to use insect repellant and to repair broken windows and screens to keep mosquitoes out of their homes. The Department of Health says people should not allow items to fill with standing water in their yards because that’s a breeding ground for mosquitoes.